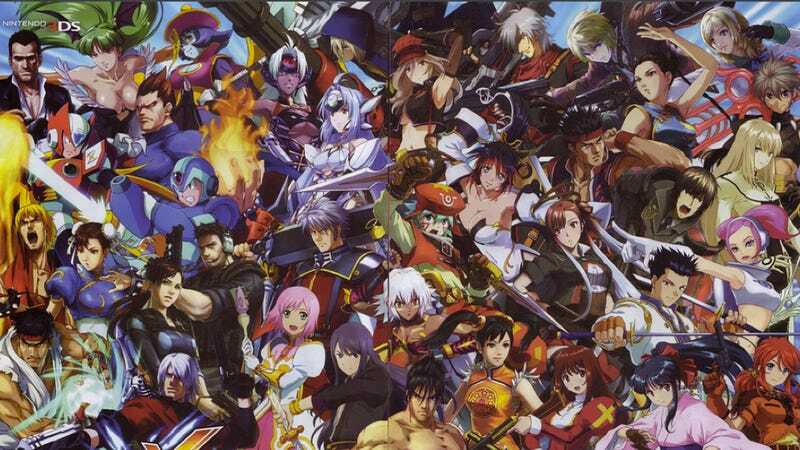 Project X Zone is an upcoming 3DS collaboration between Capcom, Namco Bandai, and Sega. The game features characters from all three! So far, we've seen a whole host of characters from various Sega, Namco, and Capcom games. But wait, there are more. The latest issue of Japanese game magazine Famitsu reveals new characters going the fray: Chun-Li from Street Fighter, Morrigan from DarkStalkers, Valkyrie from Valkyrie no Bouken: Toki no Kagi Densetsu, Gemini and Erika from Sakura Wars, Haken Browning and Kaguya Nanbu from Super Robot Taisen OG Saga: Endless Frontier, and Bruno from Die Hard Arcade (Dynamite Deka). See, crowded! Project X Zone will be out sometime this year in Japan.